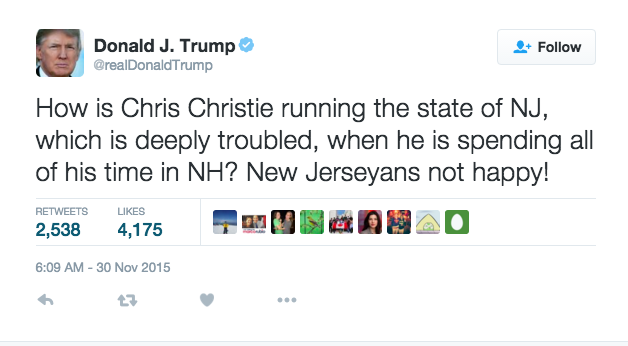 And here's a look back at Christie's views of Trump. Great trolling from the DNC at the Rubio rally in Dallas, via @SeanCWalsh (document here) . BECAUSE YOU'VE READ THIS FAR - Here's a video alerting us to cruelty against robots. - Looking back at the internet's strangest day. - Bad doors are everywhere. - Trailer of a film shot to look like a Van Gogh painting.